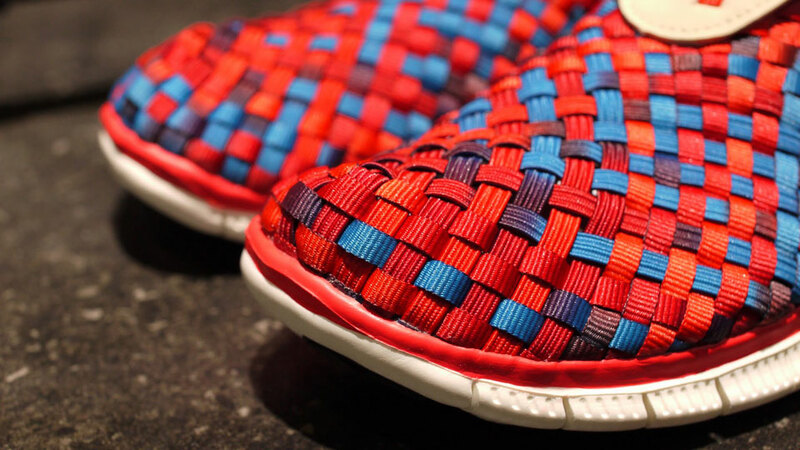 Nike Sportswear's Free Woven lineup gets a colorful addition this week with the new "Red Rainbow" Free Woven 4.0. 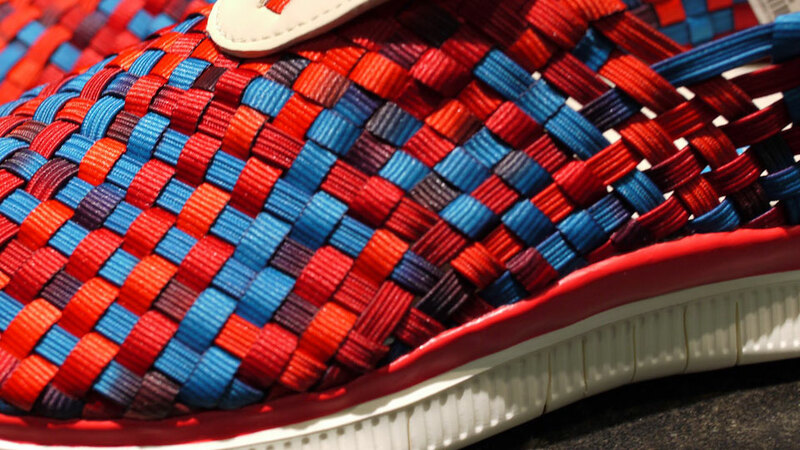 Nike Sportswear's Free Woven lineup gets a colorful addition this week with the new "Red Rainbow" Free Woven 4.0. 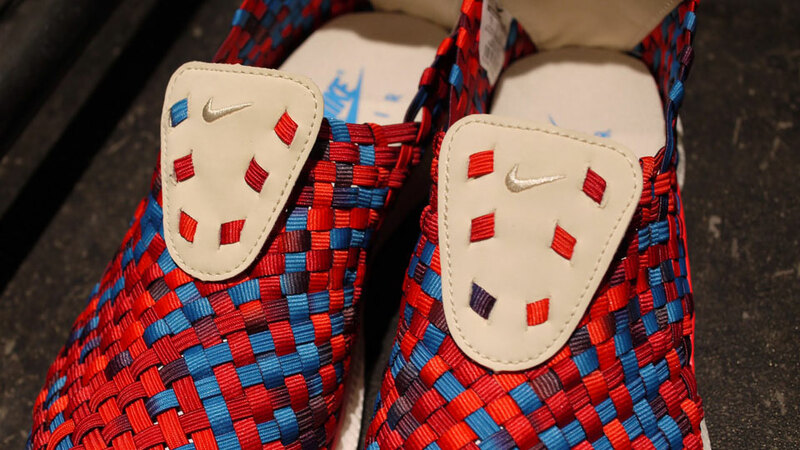 Officially a Carmine / Daring Red / Neo Turquoise / Birch colorway, this new slip-on option features a multicolor woven upper, blending together red and blue hues, along with birch leather heel and tongue pulls. 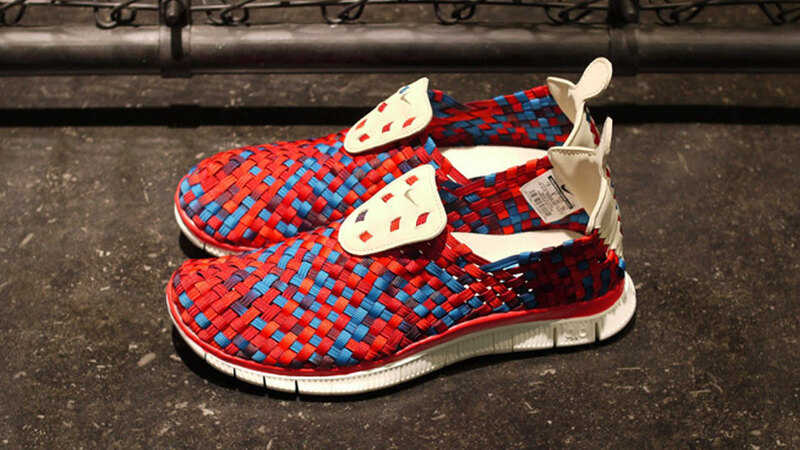 A white Nike Free 4.0 midsole sits below. 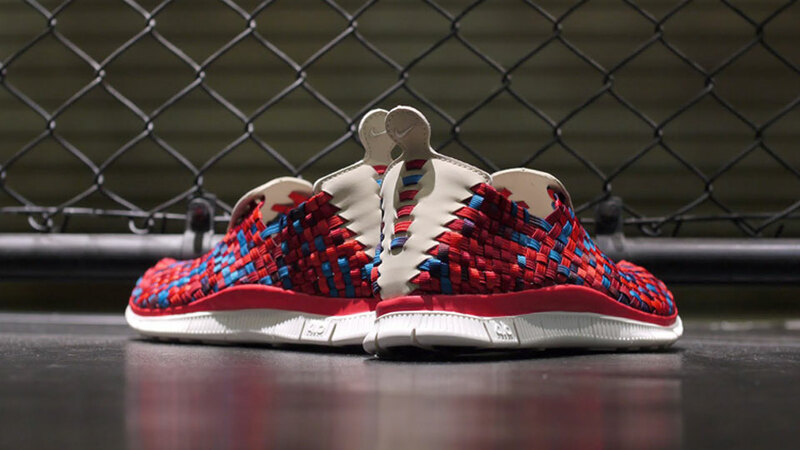 The Nike Free Woven 4.0 in Carmine / Daring Red is available for order now at mita sneakers.